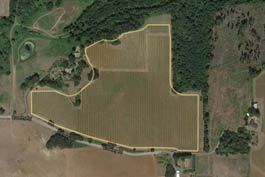 The Eola-Amity Hills AVA as a unique terroir that sets it apart from the surrounding Willamette Valley viticultural area. Ancient lava flows and tectonic shift created the hills, and the weathered basalt soils here have proven perfect for premium winemaking. 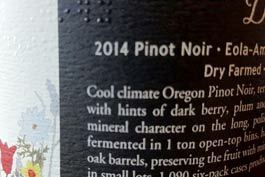 Cool climate Oregon Pinot Noir, terroir driven. Aromatic, seductive and silky, with hints of dark berry, plum and spice flavors. Balanced undertones of mineral character on the long, polished finish. Destemmed, whole berry fermented in 1 ton open-top bins, hand punched. Aged in neutral French oak barrels, preserving the fruit with minimal winemaker intervention. Crafted in small lots, 1,090 six-pack cases produced. 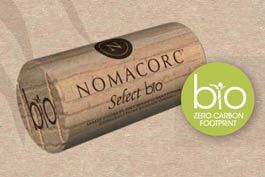 Normacorc Select Bio Series offers the world’s first zero carbon footprint wine enclosure. Made from renewable, plant-based polymers. 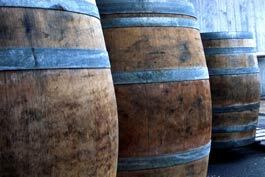 Minimizes environmental impact by preventing spoilage and waste from wine faults. Manufactured using 100% renewable energy and minimal water consumption. Consistently delivers the right amount of oxygen, just as the winemaker intends. Ideal for sustainable wines. Our wine label includes braille. Such labels were virtually unavailable before about 13 years ago. The technique is the same as printing visible labels: an iron Braille negative is pressed onto the back of the paper label to make the Braille bumps. 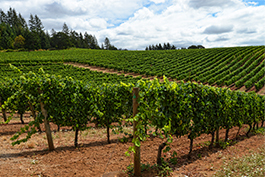 Fruit is harvested from Daffodil Hill Vineyard in the Amity Hills, Willamette Valley. about 480 ft to about 380 ft. Many blocks have 20 year old vines. Soils are mostly silt loam and silt clay loam.